Babies may be too young to remember or understand the excitement of Christmas, but that doesn’t mean they have to miss out on all the fun. We have found a great selection of gifts for the under-one set. A baby cannot have enough gorgeous blankets (okay, so this is a personal weakness and possibly the reason I took up crochet). There are a great selection of gorgeous cotton blankets for babies that are perfect even for warm summer nights. 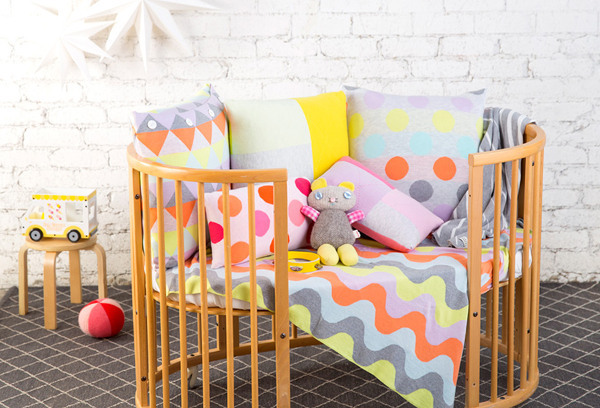 The O.B Designs Rainbow Ripple blanket is Australian designed and made and fast on its way to becoming a classic. 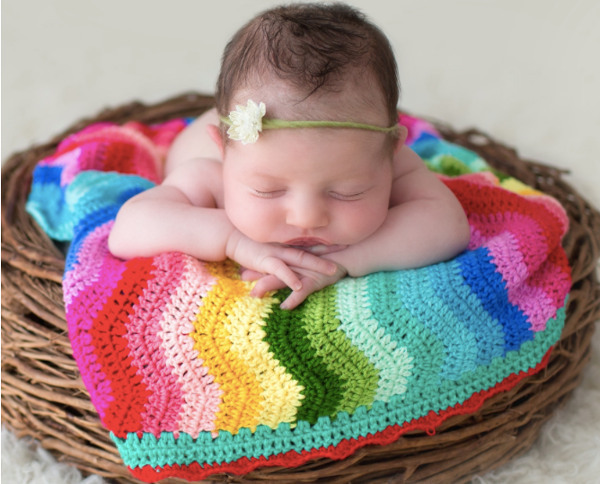 Hand crocheted from an amazingly soft yarn made from a blend of cotton, azlon (milk fibre) and cashmere, this cot blanket is perfect for summer babies. It is available for $89.95 from O.B Designs. Sleep is, of course the ultimate gift, and anything to help babies with this is a sure-fire winner. The Ergobaby Swaddler is a simple swaddling solution that combines a firmness over the arms to prevent the startle reflex waking your bub with a design to ensure freedom of movement from the hips down, so baby can keep his hips in the natural ‘frog leg’ position. The Ergobaby swaddle comes in a packet of two for $69 from Babes in Arms. It is never too soon to start thinking about how to keep baby’s food and drinks cool when out and about. 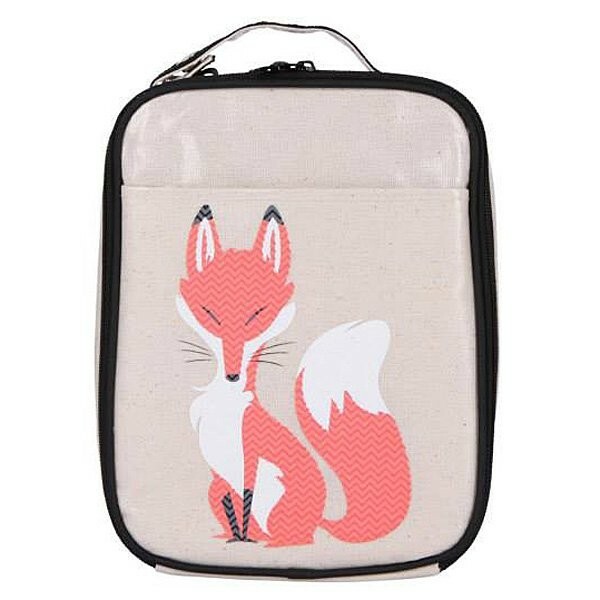 The insulated lunch bags from Apple and Mint are a great solution, big enough for a long day out they have a unique freezable cooling panel that keeps food cool for up to eight hours. They are $32.95 from Apple and Mint. 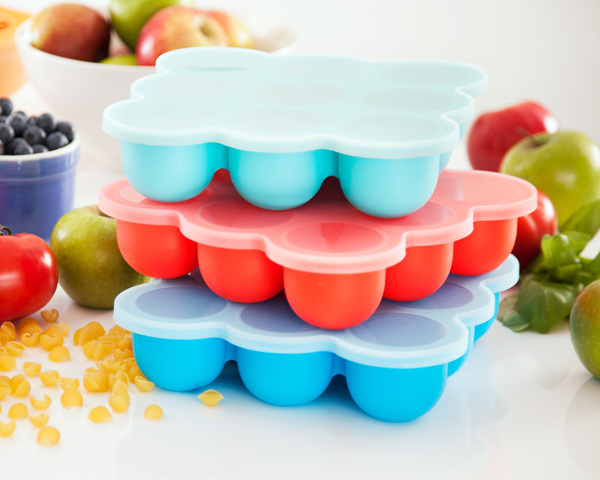 For those about to begin the solids journey, these freezer pods from Wean Meister are an ideal functional gift. Made from flexible silicone, each pod is the ideal size for puree for a baby starting solids. The freezer pods are BPA free and fridge, freezer, microwave and oven safe. They cost $50 for a pack of three from Wean Meister. For summer babies who need a light layer of warmth on cooler nights, Australia’s own Uimi design beautiful summer weight baby blankets. An 89cm x 85cm bassinet blanket, hand knitted in Melbourne from an ultra fine Egyptian cotton is $135 from Ecobabe. How utterly lovely is this gift from Tinybitz for a wee Christmas babe. 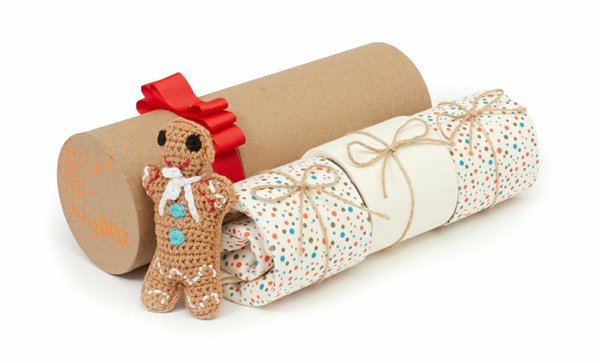 The Merry Bitzmas growing kit includes three beautiful Tinybitz baby outfits and a sweet Christmas rattle. The kits are cleverly designed so each item of clothing is a different size to change with the seasons as baby grows. It starts with a 0-3 month sized baby kimono, perfect for snuggly newborn babies born in the spring/summer months, one in 3-6 month with long sleeves and legs for when bub is bigger in the cooler months and one in 6-12 month size in a springtime friendly long sleeved onesie, so it’s the gift that keeps on giving all year long. The Merry Bitzmas growing kit is a special Christmas price of $84.95, normally $96.95, available from Tinybitz. Ever the necessity, a baby carrier makes an ideal gift, and the Baby Bjorn Baby Carrier We ticks all the boxes. It is suitable for newborn through to three years of age, can be worn as a traditional front carry as well as a back carry for older babies and toddlers, it has an easy adjust for the perfect fit and is designed to ergonomically support you and your baby. It costs $149.95 at Baby Kingdom. Just look at these adorable dresses. Every baby girl needs a go-to comfortable everyday dress, and these dresses from Zipit are sure to become a favourite. They have an easy-to-put-on side zip opening, adorable graphics, a matching nappy cover and are made from oh-so-soft interlock cotton. They are available for US$42 from Zipit for the dress, or in a gift pack with a matching hat, bag and wrap for US$78. If you are looking for a baby monitor, the Oricom Secure Digital Video baby monitor with pan-tilt camera is the absolute Rolls Royce of monitors. It features a large screen, room temperature thermometer, night vision capacity to watch your little one at night and a night light and lullabies to lull your bubba to sleep (glorious!). It is $249.95 from Oricom. 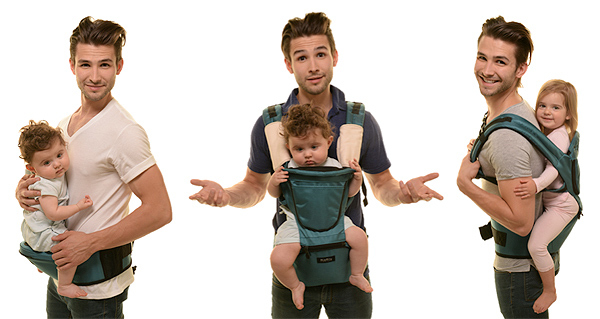 For the baby who insists on being held constantly, the MiaMily HIPSTER is the new kid on the baby carrier block. A unique, back-supporting carrier belt, it has an integrated seat for baby to help you carry your little one significantly longer, more comfortably and effortlessly. HIPSTER allows your baby more freedom to see and explore the world without feeling enclosed in. Its ergonomic design distributes weight evenly throughout your lower back and shoulders (when used with the attachable carrier tops), to minimize any long term effects from bad posture and fatigue. One simple movement for a quick slip on or immediate release off is designed so that you can get your little one in and out in seconds, or even with just one hand. It is $189.99. 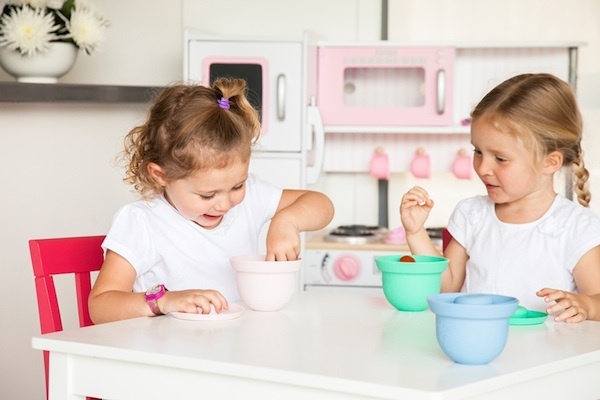 The AdoraBOWLS from Wean Meister are perfect for baby and toddler meals and snacks. Made from premium grade BPA free silicone with suction lids, they are ideal for food storage as well as eating from. Useful beyond the baby years, these bowls can even be used for school lunches or long car trips with kids. They are $50 for a set of six, available from Weanmeister. 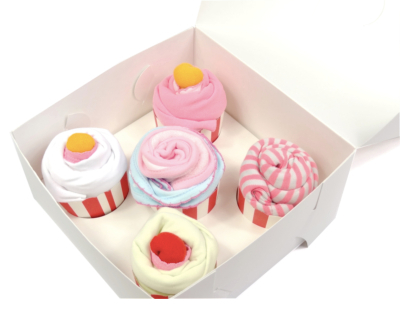 This La Mode Bebe cupcake gift set makes a lovely gift for a newborn baby girl. A set of five cupcakes for the baby girl, this gift set comprises three long sleeve bodysuits, one cotton short sleeve playsuit, three pairs of character socks and two cotton appliqued bibs. It is $73 from La Mode Bebe. For the boys, the Catasy bodysuit pack comes with five cotton bodysuits in a suitably boyish transport theme. There are girl packs available too, and both cost $53 each from La Mode Bebe. And finally, should your baby need some wheels (or some new wheels), check out this pram from Babyhood. 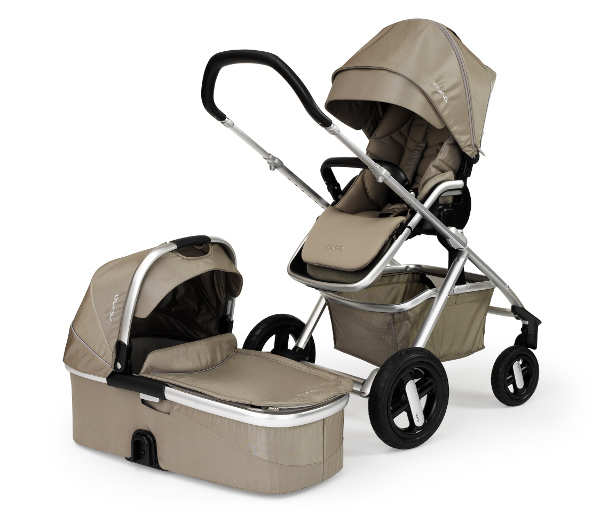 The Nuna IVII Push Chair really has all your pram bases covered, including a basinet and a lay flat seat option. It can fold with or without the seat attachment , can face you or face the world and can work as a travel system with a car seat. It is the ultimate in flexibility, and stylish to boot. What a merry little Christmas your bub will have in this! It is $1199 without the carrycot option (an extra $399) and available from Babyhood.